I was bored, so I started pouring the wines (all of them from Robert Mondavi Winery, but I didn't see the appellations) into glasses where they didn't belong. And that's when I had my revelation. The Pinot Noir needed the Pinot glass; it wasn't good in the other glasses. The Chardonnay was best in the Chard glass*, but was palatable in the others. * At home I later did a taste-off between Riedel's Chardonnay glass and Eisch's, and my wife and I both preferred the Eisch. And the Cab -- well, the Cab actually tasted better out of the crappy ISO tasting glass, a glass essentially designed for Sherry that suppresses the aromas of practically everything else. It smelled a little better in the expensive hand-blown Bordeaux glass, but I was just as happy drinking it out of the $3 glass. It was also acceptable out of the urine sample cup (though I did prefer glass), and would presumably be just as good out of a used jelly jar. So thank you, Maximilian Riedel. Now I know that if I'm a Cab drinker, I don't need to spend a fortune on your glassware! Seriously, this was a major breakthrough for me. I never order cheap Cabernet; the cheapest Cabs I enjoy start at about $30 retail (maybe $60 wine list). For less money than that, I always order something else. But I always drink wine out of a real wine glass, not a Mason jar or water glass, which perhaps separates me from the rest of America. If I was watching baseball and drinking wine out of a plastic team-logo cup, I now know I would be much more interested in cheap Cabernet. Generalizing more, I wonder if hardiness has as much to do with Cab's worldwide appeal as its flavor. Wine is often shipped and stored in the wrong conditions. Maybe Cabernet takes a beating better than most. Inherent toughness in an agricultural product is a huge advantage: that's why iceberg lettuce outsells romaine. But enough from me. Do your own experiment. Is your Cabernet really much better in your most expensive glass than in your cheapest? Try it and let me know. Ha, you got me wondering as to when the last time I ordered a bottle of cabernet in a restaurant. I have no idea! Definitely in 1999. But more recently? There's always many higher value choices. I did my master's thesis on wine glass shape. For the wines I tested, I found that glass shape had little, if any, effect on the aroma of the wine. These experiments must be done without context - no guy telling you what you smell and they must be done blindfolded so the subject cannot see the glass. So I'm curious, Gray. What do you prefer as alternatives to Cabernet under $30? Very thought-provoking article, as usual. A lot of wine grape selection by consumers is, of course, due to the branding effect of a familiar grape name rather than true taste preference. I suspect Cab Sauv was the first red grape to be popularized as a varietal in the late 70s. At the time the other reds grown in the Central Valley (Carignan, Ruby Cab, etc.) were clearly not grown for varietal character but for high volume and blending characteristics. 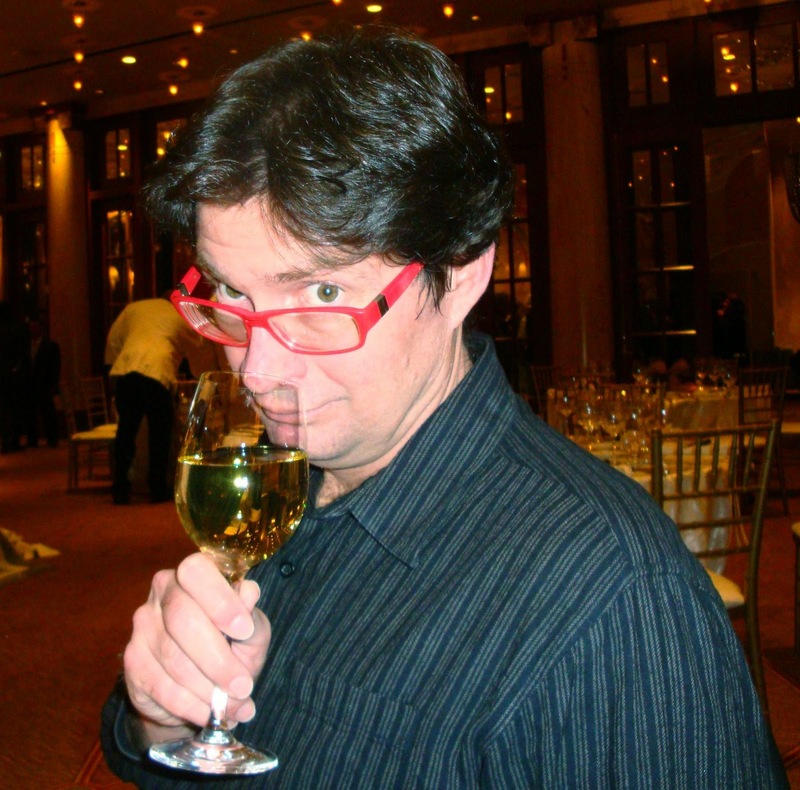 Greg, given Gray's comments above, and many wine professionals' experiences that glass proportions DO change the perceived character of (some) wines, can you provide a link to your research? Last commenter: You didn't give your last name so I can't call you by it. Didn't your momma teach you manners? Re alternatives to Cab under $30: With the occasional exception of some Burgundies, Cabernet Sauvignon is the most expensive wine on most wine lists. It would be quicker to name other wines that also don't do well under $30 retail: Pinot Noir, sparkling wine and Merlot. Yet I find more good cheap values in each of those than with Cab. So the answer is, anything. When serving whites, I pour a taste in both a Sauvignon Blanc glass and a Chardonnay glass, taste both then decide which to use. For red wines, I found that a Cab tastes best in a Cab glass and Pinot in a Pinot glass. For other reds, the Cab glass usually does the trick. Well, I couldn't call you W. That would've just been confusing :)! NM: That's an interesting method. I've got theories about body (or perceived body) and glass size, but I need to keep playing around with it. In short, though, I do kind of what you're doing, and have found that the best glass doesn't always match the variety it was supposedly designed for. Doug: You can call me W. if you like. There was some politician who devalued the initial, but I haven't heard anything from him for a while, and it's only a matter of time 'til he's a respected elder statesman. My wife and I went to the same SFMOMA event. I'm not sure I agree with you on the ISO glass, but I do like your take on Cab's strength to withstand travel and the plastic happy hour cup. Riedel is seriously pricey, and the event was a glorified sales pitch, but it's hard to beat $35 to take home 3 of their sommelier series glasses. Unfortunately my sommelier series Cabernet glass wasn't as hardy as Cabernet itself -- it broke after I used it only once at home, while I was very carefully hand-washing it. Fortunately I had already conducted the experiment detailed herein and thus my heart wasn't as broken as the glass. I have been teaching wine appreciation classes at UC Santa Cruz for more than 30 years. The students bring their own wine galsses, and long ago I discovered that different students had different reactions to the same wine we were tasting that could be traced to how they washed their wine glasses. The worst was simply squirting liquid detergent in a glass, because you can't rinse off the residue. Interestingly, different types of wine were more sensitive to the glass cleaning then others. The most sensitive was Pinot Noir. A Pinot could be ruined by drinking it out of a poorly-cleaned glass. The lest sensitive: Cabernet Sauvignon. It seemed almost impervious to how the glass was cleaned. I have found the best way to clean classes by hand is to use baking soda, It cleans extremely well and completely rinses of the glass easily. I now onw a small winery in santa Cruz and spent months lookiing into how to clean wines glasses in our automatic dishwasher. People thought I was a bit crazy, but I just don't want the clealiness of the glasses interfering with tastes in the tasting room. I finally found some specialty cleaning agents used in the food industry and to clean medical devices that cleans very well and rinsed off completely with ease. You don't want soap residue in your milk or blood from dialysis equipment. Cabernet's also much tougher when it comes to winemaking; you can punch it, pump it, whatever, and it doesn't seem to suffer. I've always taken cheap Cab blends to tailgates because they taste just fine out of plastic cups. I hadn't considered the reason why, though. I agree with Joseph that how glasses are washed makes a difference - also, I think, what the local water is like. I noticed wine taking on a metallic taste in the area where I vacation, and I was able to eliminate it by rinsing the glass with bottled water.